Stop that! Don't give my peach trees any ideas. I don't need a late frost kill. Like always, beautiful work Apple. I love it. Nothing like peach blossoms. Thanks for sharing. 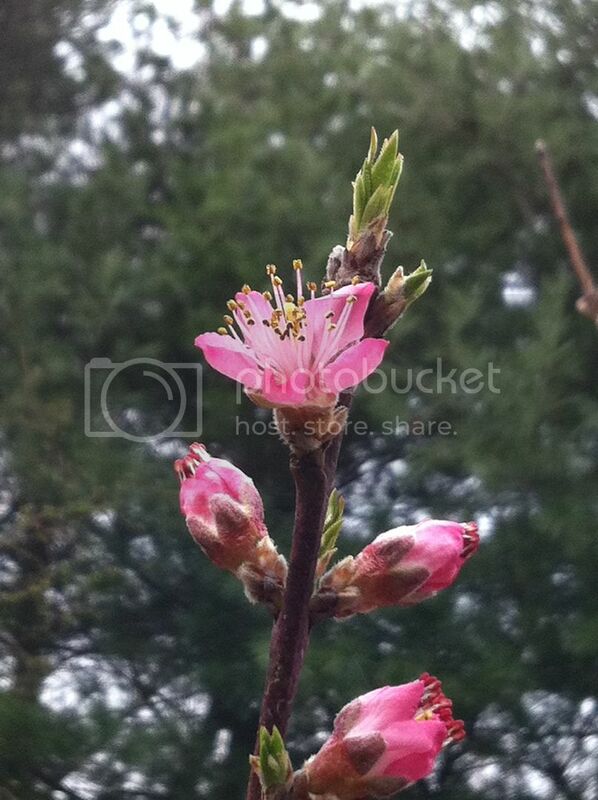 I just noticed the first pink showing on my peach tree today...and it was snowing this morning. applestar - do you still get good fruit set when blossoms are open and temps get down to 25 F? Finally - a good day in the garden!